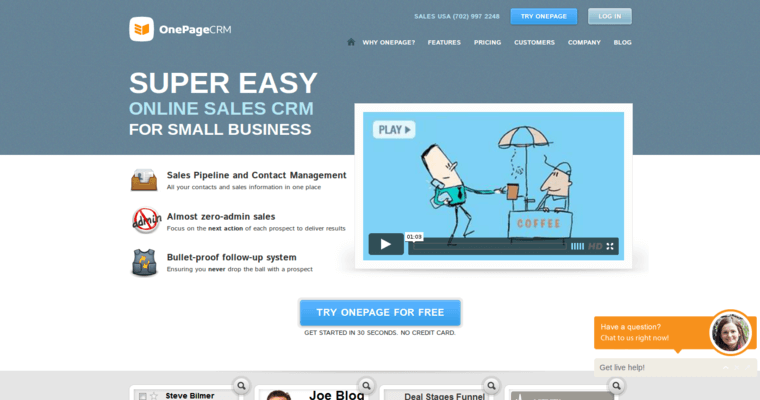 OnePage CRM is a powerful online suite of customer relationship management software. It includes a number of advanced features like contact management, sales management, lead capturing, and full team collaboration. 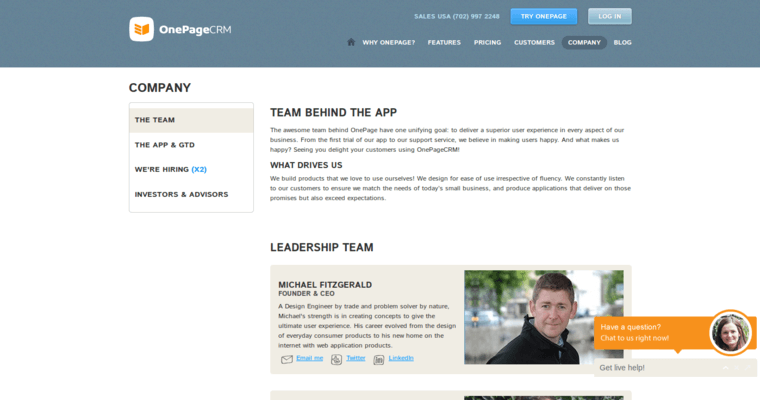 If you already use a systemic workflow, you can easily integrate OnePage with your existing software. It can also be used to predict how sales will develop over time. One of the most unique aspects of the software is that it includes mobile app support for iOS and Android devices. When teams start using OnePage CRM, they will notice a huge difference in their staff morale and efficiency. The software automates a vast number of tasks in the sales pipeline, and it uses powerful 256-bit encryption to protect data transfers from outside forces. There aren't many other customer relationship management systems that offer the same comprehensive utility and extensive list of features found in OnePage CRM. Try the software for yourself.